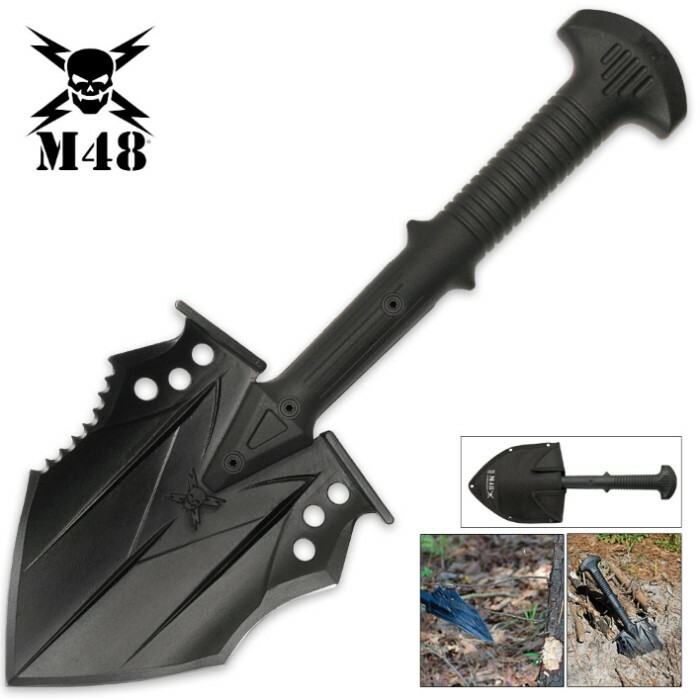 Go from decapitating zombies to digging a shallow grave in one fell swoop with our tactical combat shovel! This is one of the meanest and most versatile self-defense products we've seen. You might never look at a shovel the same way again! 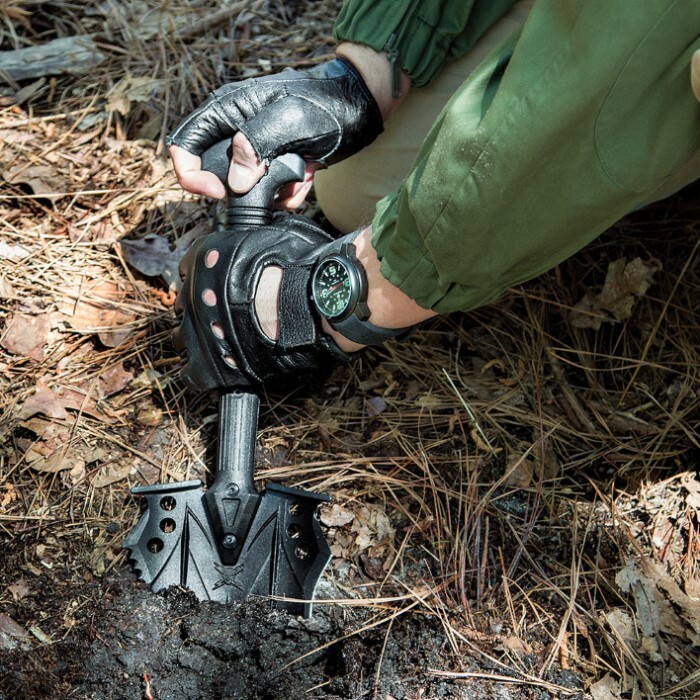 The shovel blade has been outfitted with multiple tactical cutting features. This includes two large cutting edges, aggressive serrations, a concave slashing edge lined with points, a centered skull emblem, and boot blocks on the spine for those times you need a little extra "umph." The shovel head is forged from hard 2Cr13 stainless tool steel and given a crisp black oxide finish. 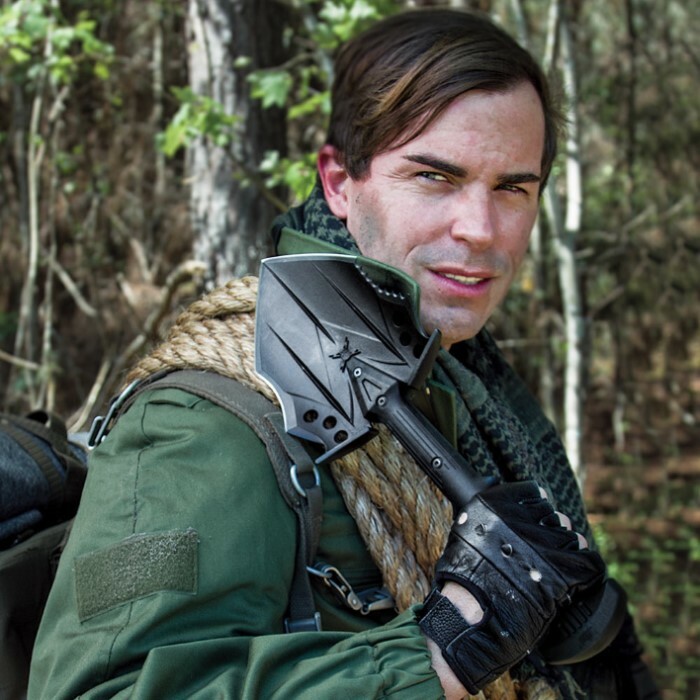 The handle is crafted from injection-molded nylon (30% fiberglass with nylon reinforcement), which has become an industry standard material for use with modern tomahawks in recent years. Whether you're looking for a unique home defense blade, a camping and hiking companion, or an upgrade to your tactical weapons collection, this piece has you covered. A black nylon pouch is included for storage and carry, complete with belt loop and blade compartment reinforcement. Measures 16 1/4 in. overall.